Badges are achievement awards that we grant you for major steps in website building. This is our way of saying you are doing great developing your website. 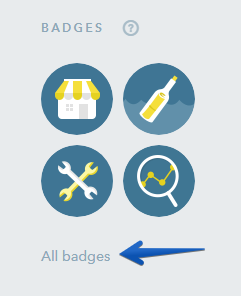 You can view all available badges by clicking on All badges in the Dashboard.